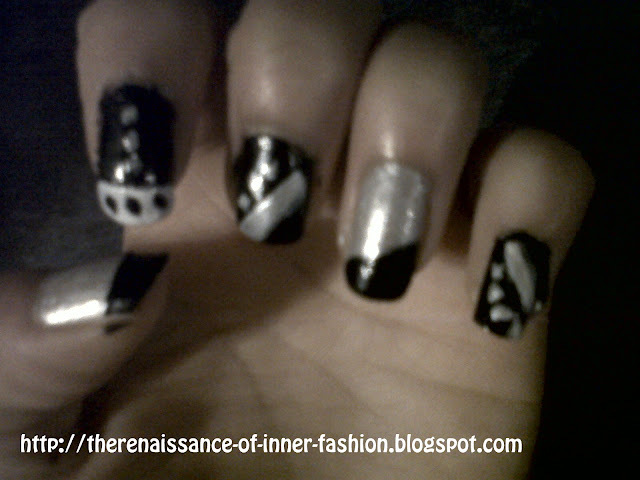 I decided to take a picture of my nails now instead of posting it for tomorrows OOTD post. I did not want to take a picture of it 2 days later when it is ruined. I think I am going to have to apply a top coat onto my nails everyday to at least make it last for a week because it is starting to chip already. The polish looks a bit messy on the picture because I don't just paint my nails, I always manage to paint my fingers too but I am totally in love with how they turned out. hey sweetie love e new blog..its cute&ur nails r so pretty,love!!!!!!! nice nails. what made you change your blog url? @Fashion Cents: Thank you, I felt my blog needed a change. I regret doing it now because I had so many problems getting everything to work. I wouldn't advise anyone to change their blogger url.